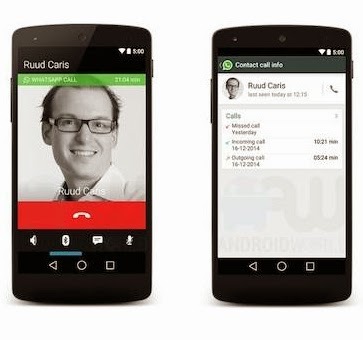 According to the lates news from Androidworld.nl , its testing the phone calling facility with WhatsApp, which could be soon on your Smartphone. Just like you use Viber or Skype for the Free VOIP Phone you can be using them free. There is also a possibility of charging some initial registration process in India, but its still unclear of the process. We are looking forward to get the latest news on it . Subscribe your email in the right side to get the latest news , whenever its published..